A grey mouse to grab by the arm, the leg, or the ears. 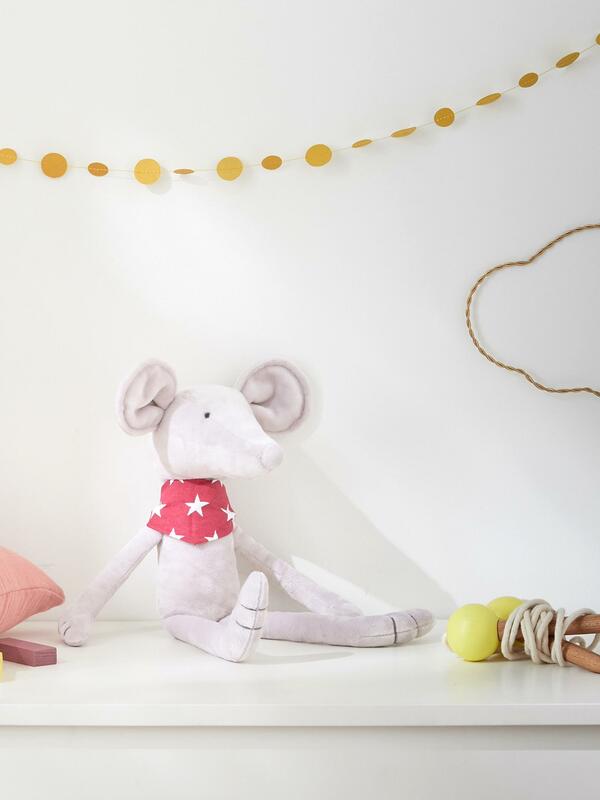 Super stylish with its bandana, the mouse plush is a beautiful gift idea! Height 44cm approx. Star-print fabric bandana. 100% polyester. Padding, 100% polyester.